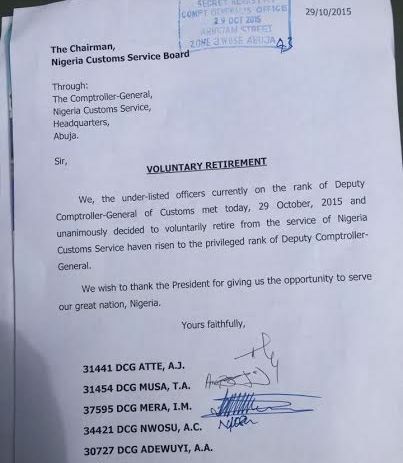 Five Deputy Comptroller Generals of the Nigeria Customs Service unanimously announced their resignation from the service today October 29th. A copy of their resignation letter above. No reason was given for their resignation.